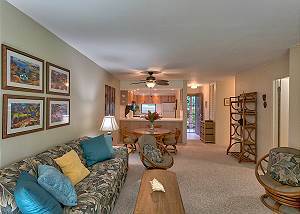 If you are looking for the best value on Maui for a vacation rental, Kihei Akahi is the place for you! Our spacious studio, one, and two bedroom units are sure to impress you and our property is so well equipped and beautifully landscaped you won't want to go home! These affordable and spacious suites in our carefully considered condos are roomy enough to fit up to 6 people. There is plenty of area for the whole family. Each unit is individually owned, each having their own unique style. However, equipped kitchens, private lanais, and TV is standard in each unit. Kihei Akahi Resort does not disappoint! This popular resort condominium features two 6-story buildings with elevator and two low-rise 2-story buildings with stairs. A full sized tennis court, as well as barbecue area, can be found on our luxurious grounds. So come relax on the beautiful white sand beach, Kamaole 2 beach across the street, and cool off in one of our two pools on your next Hawaiian getaway. 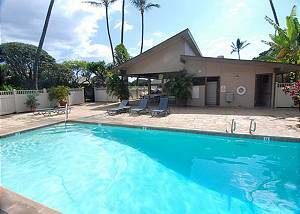 Whether you decide to rent a car or not Kihei Akahi is the place for you to be. 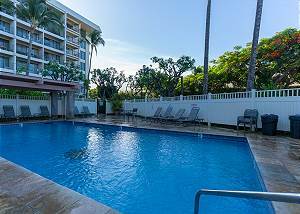 Our condominiums are centrally located in South Maui's bustling Kihei Town where you can walk to a myriad of different things including shopping, activities, and dining options! If you are enthusiastic to explore everything Maui has to offer, it is easy to navigate around the island from the property as we are not far from main access points to the highway. 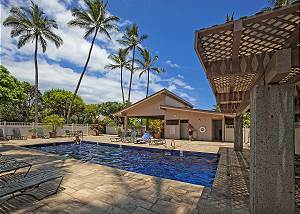 Unbeatable value and prime location make Kihei Akahi one of the most popular vacation rental destinations in Kihei. With the beach a 2 minute walk across the street, you can lay out in the sun, whale watch, and even snorkel with a few Hawaiian Green Sea Turtles all before noon! Enjoy our beautiful Hawaiian sunsets at Kihei Akahi. Let our convenient location and amenities enhance your experience. From your private lanai, you can sit back with friends and family, breathe in the salt air, and watch the beautiful colors streak across the sky. If you prefer, you can walk right across the street and dip your toes in the water on a beach walk as you watch the sun disappear into the Pacific Ocean. 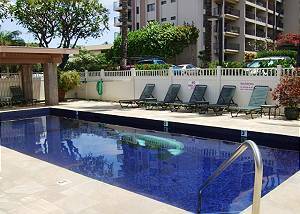 Kihei Akahi promises your best Hawaii vacation yet! From property features, to beautifully decorated condos, to location, Kihei Akahi is going to be the most relaxing holiday you have been on to date! Book this blissful Hawaiian hotspot to make your Maui dreams come true!